Following the success of the last Gardener’s walk-and-talk around the garden, with tea in the tower, we are hosting a similar event (but with better weather!) on Sunday 14th June from 2:30 to 4:30pm. All Friends are welcome and encouraged to bring “a friend”. Cost £2 per head for tea and home-baked cake. See Support us, Friends page for how to become a friend of Dr Neil’s Garden. 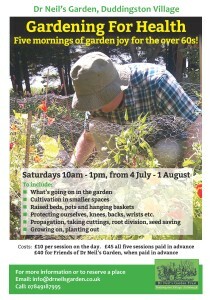 Five mornings of garden joy for the over 60s! Protecting ourselves, knees, backs, wrists etc. 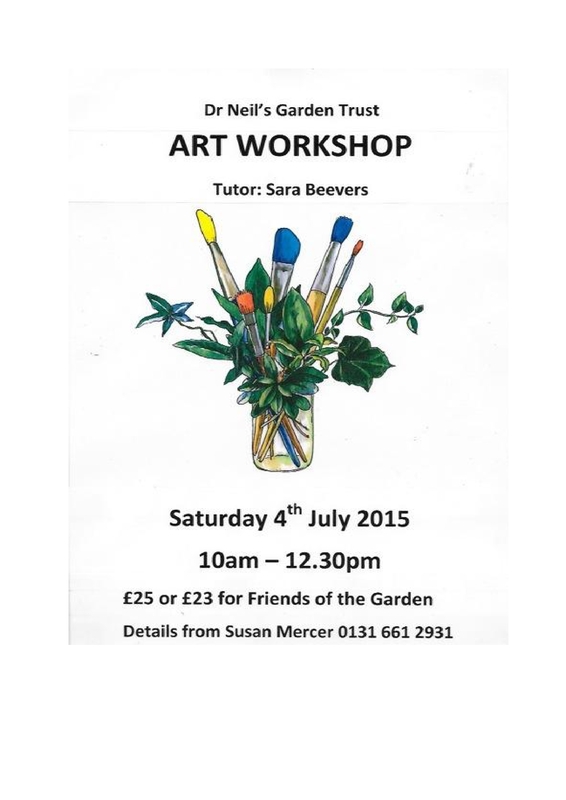 Local drawing and painting teacher Sara Beevers will be running a workshop in the Garden for painters and drawers of all abilities (age 14+). Please bring your own materials. All levels of ability are welcome. Please contact Susan Mercer on 0131 661 2931 to reserve your place. Sara Beevers is a very experienced art teacher in Edinburgh. She is also a keen gardener, and has brought groups of students to paint and draw in Dr Neil’s Garden on numerous occasions. There is a wide variety of subject for the aspiring artist within the Garden: in addition to the flowers, shrubs and trees, there are several interesting architectural views and of course the longer views across the Loch towards the Pentland Hills.